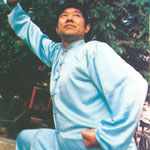 Titles: Professor of Wushu, One of the “Contemporary Grand Masters of Wushu in China”, Rank (dan) Eight, Committee Member of Chinese Wushu, Vice Chairman of Wushu Research Committee, Chairman of the Wushu Association of Gansu Province, Reporter of Contemporary Sports, Chief Editor of Science and Sports. 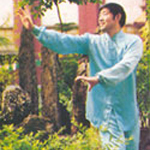 Brief Biography: Mr. Hao started practicing Wushu when he was a child. He has studied under Luo Kegong, the grand master of attacking skills, and Wang Tianyu, the greatest contemporary martial artist, and Zhang Wenguang, the nationally known martial artist. He has learned the true essence from all of them. He studied and graduated first from the Art College of Lanzhou and then from graduate school of The Sports University of Beijing (originally The Sports College of Beijing). He specializes in xingyi, bagua, tai ji, tanglang, bamen, baji, tongbei, paizi gun, pipa gun, niusi gun, simen gun, biangan, chun yang sword, tipao sword, qinglong sword, bashi sword, wusong broadsword, taibao broad sword, gaojia spear, liuhe spear, hunyuan broadsword and so on. He is especially good at attacking forms. His martial art is pure and original, and his skills are so spectacular that all his fellow martial artists and students cannot help holding him in esteem. He is also a calligrapher who can carve, paint and write poems. He really lives up to the title of “Talented in Both Martial Art and Belles-letters”. A History of Chinese Wushu (collaborated). We won the Gold Medal & Group Championships in the Chinese Culture Festival 1995 – 1996 back to back & 2017 16th World Cup Championships. Mr. Hao has taught and trained extensively. 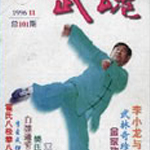 He has trained many masters of Wushu in China as well as abroad. He has been invited many times to Europe, America and Southeast Asia to lecture and teach. He has also taken part in many major championships both at home and abroad at which he won many prizes. In addition to that, he organized many large-scale tournaments. He has been awarded the Life Achievement Prize for the “Leading Master of Wushu in the World”. His life story and achievements have been reported many times in newspaper and journals. An article in the People’s Daily calls him “the Wonderful Man in the World of Wushu”; Wulin Magazine calls him “the Extraordinary Talent in the World of Wushu”, “A Xiucai in Wushu” and so on. He is very serious about teaching, scientific verification. He lays special emphasis on knowing the martial art thoroughly and having respect for morals; one should know one’s goal and keep away from the worldly. His profound knowledge, excellent skills in Wushu, his noble and moral character have won him high esteem in the world of Wushu. His motto in practicing Wushu is: you emphasize morals in practicing Wushu, if you emphasizes morals, you must be reasonable; if you are reasonable, you must respect the skills. 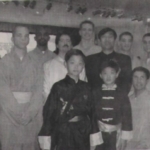 Master Hao Xinlian taught Shifu Marquez since 1992 in Ba Men Kung Fu, Yang & Chen Taiji, Gin Yee & Cheng Bagua Zhang, Hsing Yi, Plum Flower Praying Mantis & Tong Bei. 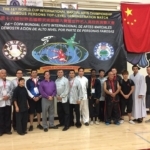 Master Hao lived with Shifu Marquez several times over the many years but he would stay with him at his house for 6 months at a time he has been certified from Master Hao in the disciplines mentioned. We teach the Hao Family Fist or Mei Hua Tang Lang.